“The interesting adults are always the school failures, the weird ones, the losers, the malcontents, this isn’t wishful thinking. It’s the rule.” A.A Gill. Max Büsser is not a watchmaker, but he’s got an uncanny ability to make friends with one. An engineer by trade, who never imagined himself playing a role in watchmaking industry, Büsser is now one of its leading actors. 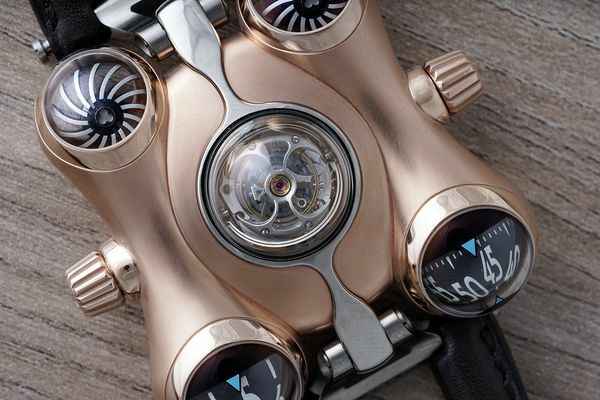 Under MB&F – an independent outfit that hires and collaborates with talented artists – Büsser has created some of the bravest and most provocative timepieces ever made. Not that he cares if you disagree. “It really doesn’t bother me what people think of my watches,” says Büsser, even while they’ve found a large fan-base around the world. 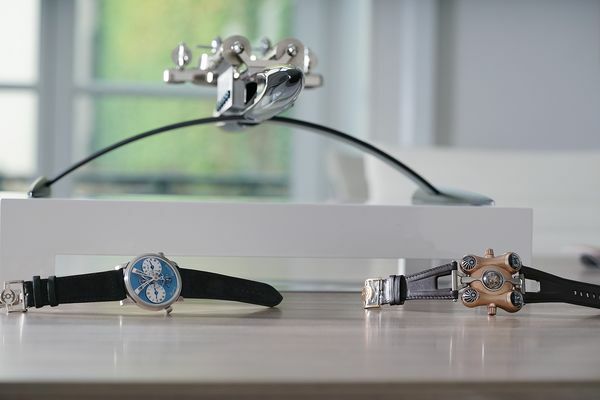 The watches that MB&F produces are deeply personal to its founder. They are the cars he used to draw when he was 10, the comic books he used to read when he was 13 and other fragments of his childhood brought to life. 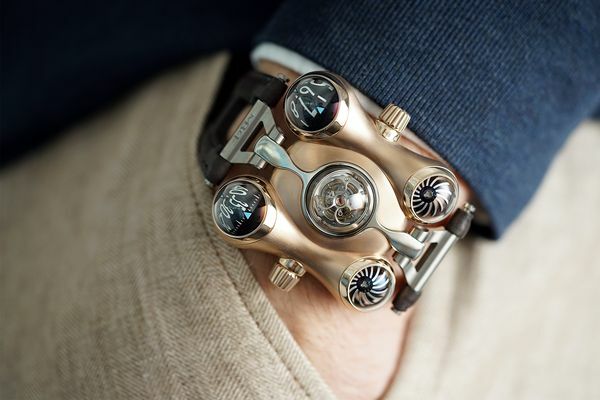 The MB&F HM6 "Space Pirate"
An only child, born to a Swiss father and an Indian mother, Büsser grew up in the Swiss countryside several miles away from his closest classmates. Even at school, he found it difficult to blend in and began to withdraw himself. Instead of playing with other kids, Büsser fought off monsters and flew spaceships in a vast imaginary world which he had built for himself. “I was always daydreaming” he says. It there was a record for the amount of time spent daydreaming, he is adamant his name would appear right next to it. The HM6's design is inspired by the spaceship flown by Captain Future in the 1970s Japanese anime TV series by the same name. As he got older, he began saving his best ideas on paper. He remembers sketching things until the tip of his pencil became flat. Cars were his favorite to draw. Büsser seriously considered becoming a designer and at 18, dreamt of applying to the newly opened Swiss branch of the ArtCenter College of Design, but school fees proved prohibitive. Instead, Büsser enrolled at the EPFL – the Swiss Federal Institute of Technology, a very reputable engineering school in Lausanne – for a Master’s degree in Micro-Technology. In his own words, he became “reasonable, and very Swiss”. Büsser says he felt at his lowest during his studies, until the day he sent a letter to several watchmakers, for a class assignment, asking them to explain the cost of luxury watches in a world where they wre being made redundant by Quartz technology – a typical engineering question, he realizes today. They all gave him the same answer: ‘We know that what we’re making is pointless, but it’s so beautiful.’ That was the first time Büsser had heard anyone talk about beauty. “That really resonated with me,” said Büsser, who had heard the words “efficiency” and “cost” all too often. A year later, and now looking to join the workforce, he serendipitously meets one of the executives whom he had written to. During a skiing trip – lest we forget, this is Switzerland, where anything constructive is done between two mountains or on top of one – he bumps into Henry-John Belmont, CEO of Jaeger-LeCoultre, having lunch with his family in Les Ruinettes, a small restaurant in Verbier. Büsser told Belmont he was thinking about Nestlé, where his father had worked, or maybe Procter & Gamble, but casually mentions an interest in working at JLC – if ever he was needed there. A few weeks later, he was sitting in a derelict Opel Corsa, heading to the Vallée de Joux, for the interview that would change his life. “He [Belmont] didn’t ask any questions for three hours, but at the end he asked me a simple question: Do you want to be one of a thousand inside a big corporation, or do you want to be part of the team that will save Jaeger-LeCoultre?”. Büsser packed his bags and joined Belmont and Günter Blümlein, “two product guys”, at Jaeger-LeCoultre to do just that during a wild seven-year stint. “We made a lot of mistakes,” he admits looking back, “and many of the product lines imagined by the team never saw the day of light”, but there were also many career defining releases, such as the first complicated Reverso, and the original line-up of the Master collection. When, in 1998, Harry Winston called him to find out whether he would consider leaving Jaeger-LeCoultre to become their Managing Director, the 31-year old felt like he had no choice. The jeweller was desperate to strengthen its reputation in the watchmaking industry, and Büsser felt up to the task. 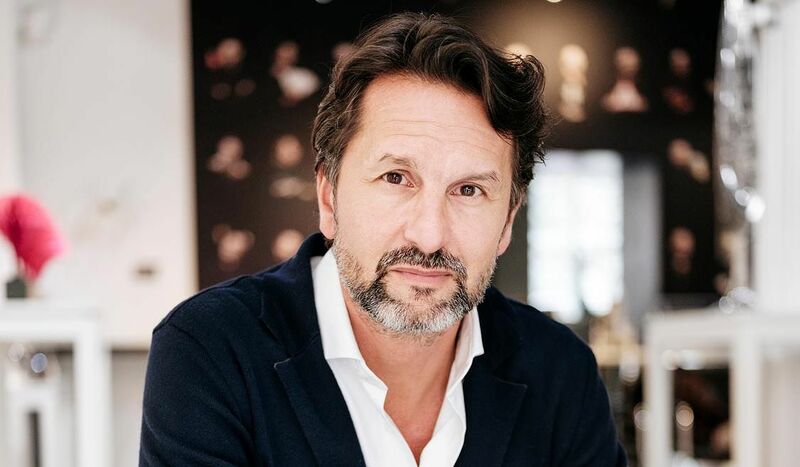 “I created the Opus Series to help a friend,” says Büsser, remembering a chance meeting with Francois-Paul Journe exactly twenty years ago at Baselworld. 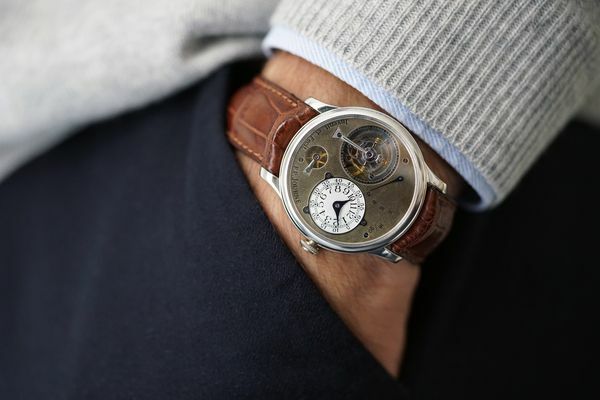 The Frenchman was exhibiting there for the first time – presenting the Tourbillon Souverain - and the two were introduced by a mutual friend over drinks. They hit it off. Phillips sold the present F.P. Journe Tourbillon Souverain for CHF 468,500 in 2018. “I remember one morning that week, we were walking down the escalators from Hall 1.1 to Hall 1.0, and he told me how tough it was,” says Büsser. “Like many other independents, he was working behind-the-scenes for some of the larger brands, but couldn’t tell anyone.” Back then, small artisans had no access to social media tools and barely received any coverage outside of specialized press. 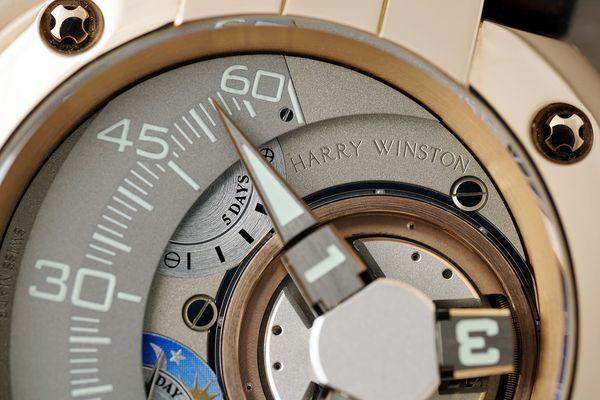 Büsser knew Harry Winston was several years away from delivering its own high-end watch calibres, but the company was more than capable of supporting external talent. He decided to give Journe an opportunity to create a one-off for Harry Winston, the Opus One, which would kick-start an entire family of concept watches bearing at least two names: the jeweller’s, and the watchmaker(s) who had made it. Four years later, Büsser had worked with some of the best contemporary watchmakers: F.P. 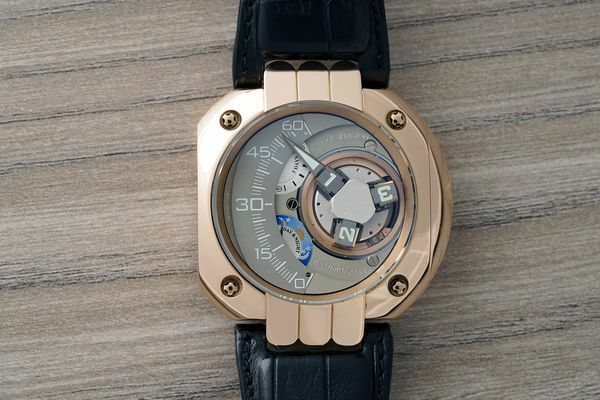 Journe, Antoine Preziuso, Vianney Halter, Christophe Claret and Felix Baumgartner (who created the above Opus V) had all lent their names to the project, which everyone now wanted to be a part of. For the first time, he saw artists that were struggling. He remembers visiting the founders of Urwerk – the watchmakers behind Robert Downey Jr.’s UR-110RG – who were living in an abandoned building with no water or electricity. Every penny went back to the product, even if that meant having to shower in the public bathrooms down the street. And that’s when it hit him. “That’s what he wanted to do!” Having spent years working for large, international corporations, Büsser decided to go rogue. 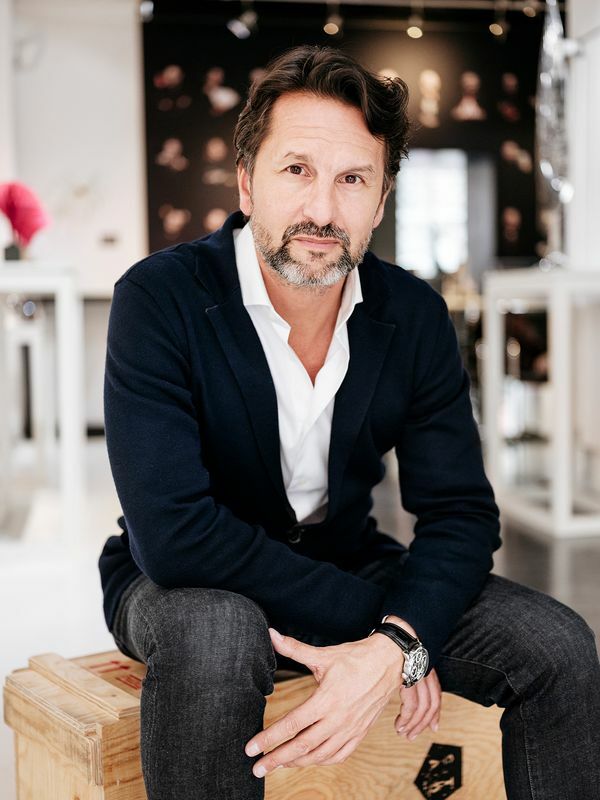 In 2005, he established MB&F – which is short for Max Büsser and Friends – and adopts a new approach to creating. Instead of helping independent watchmakers realize their dream watch, he would ask them to produce his. 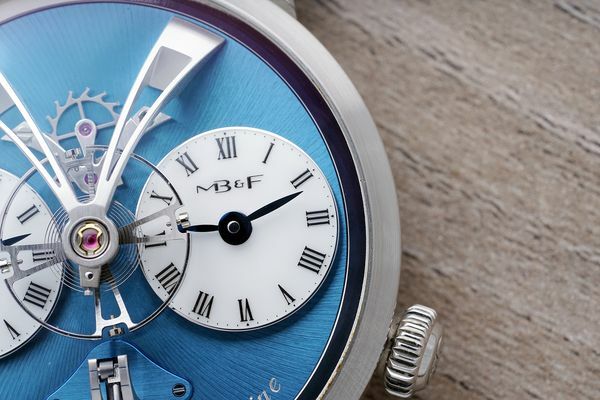 A close-up of MB&F's first Legacy Machine, the LM1. The present model was made in platinum. 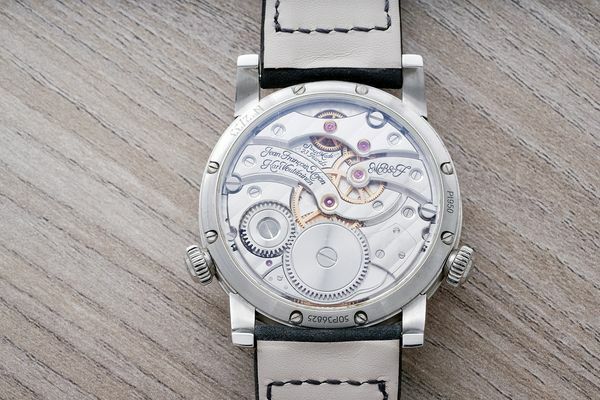 The movement of the LM1 was made by Jean-François Mojon and Kari Voutilainen. 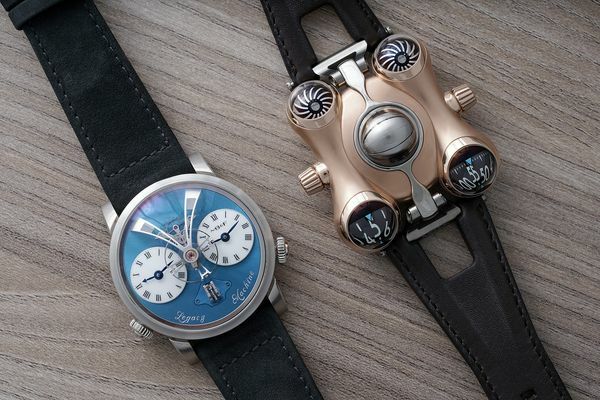 The two collections co-exist under MB&F next to a third line, called the Co-Creations, where Büsser’s wildest projects end up, including spaceship-inspired machines by Reuge which perform Star Wars music and other popular film scores. No two creations are the same. Every machine tells its own, charming story, and through them, Büsser has finally found a way to invite those around him into the world he created as a child.